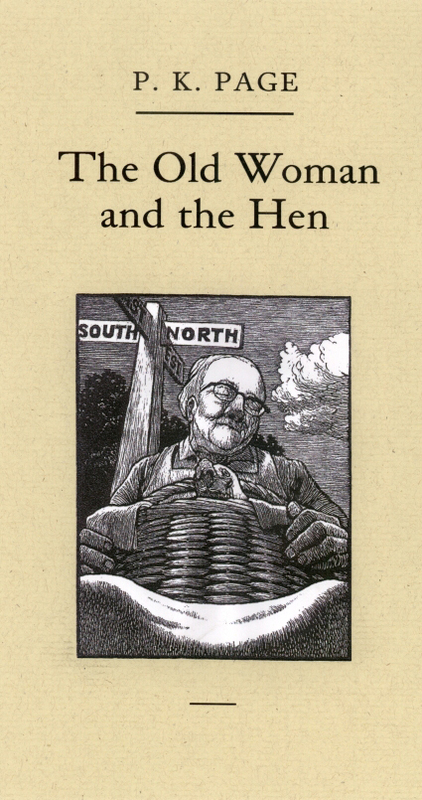 The Old Woman and the Hen is a charming folktale written by one of Canada’s best known poets. Written simply, but infused with the rhythm and wordcraft that only a poet of P. K. Page’s talent can deliver, the text is accompanied by six original wood engravings created for the book by Jim Westergard. 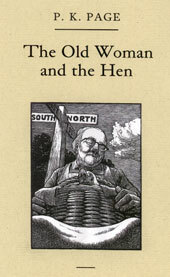 A bedraggled hen is rescued from certain starvation by an old woman. The old woman leads a meagre existence, but willing and generously shares food and water with the hen. The hen, it turns out, is capable of laying crystal eggs which reveal within their shells visions of future disasters. The woman attempts to warn her neighbours of an impending flood, but is ridiculed and mocked by the whole village. The woman faces further threats from a young hoodlum who imagines that the hen might provide him with riches garnered by selling its crystal eggs. Unwilling to lose the hen -- her only friend -- but also rather unwilling to give up the egg, the old woman again sees another vision in the egg which helps her determine that the best course is to give up the egg. In spite of her now homeless state, the old woman never loses faith. She believes firmly in the ability of the hen to bring her luck. And indeed the folktale ends with the fulfilment of the old woman’s dreams. Page’s tale conveys respect for attitudes and traits of character like friendliness, compassion, clear thinking, openness, and generosity. While not denying the very real dangers that exist in the world, the author lets readers know that help can often come from unexpected sources, and that there is wisdom in being attentive to one’s intuition. She also gracefully reveals how the power of a shared dream can sometimes shape the future in wondrous ways.